collections retail for $42. 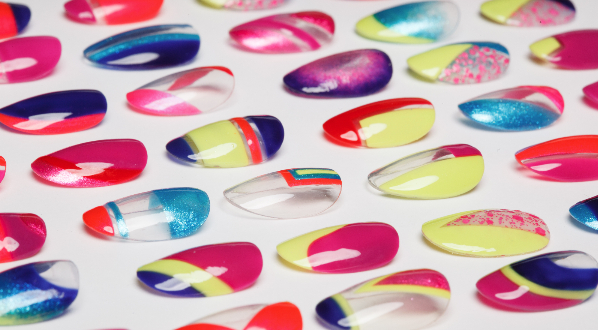 China Glaze® is free of DBP, toluene, and added formaldehyde. 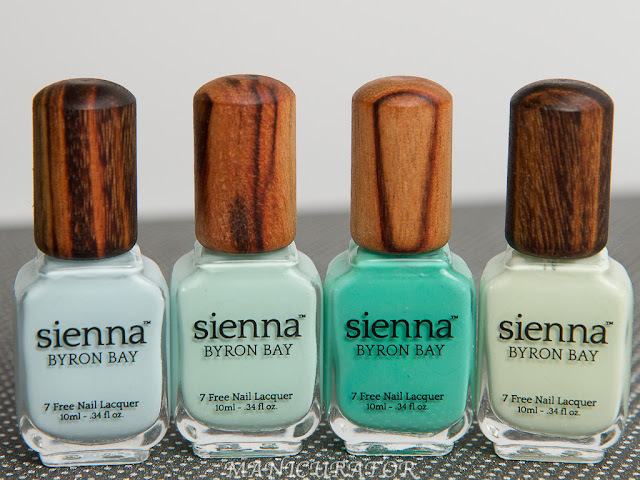 This manicure started with Keep Calm, Paint on a delicate sea foam green with silver shimmer. The China Glaze Avant Garden colors used here: Sunday Funday: bright blue used on pinky, Fancy Pants: indigo with pink and purple shimmer used on middle finger, Passion for Petals: bright salmon-pink used on ring finger, Mimosas Before Manis: coral with a light wash of shimmer used on thumb, Fade Into Hue: periwinkle creme used on index finger. I love all of these colors, I know..I say that a lot but it's the truth. Easy application and opaque in 2 coats for all of these. The sea foam green is perfect and I love how it pairs with the other colors. Fancy Pants, the indigo with pink and purple shimmer is just gorgeous and I love the bright Passion for Petals. I can see myself reaching for these colors over and over. I had a plan when I started these..but it turned out totally different. Will have to see if I can make the design in my head another time. I think the ring finger is my favorite this time. How bout you? 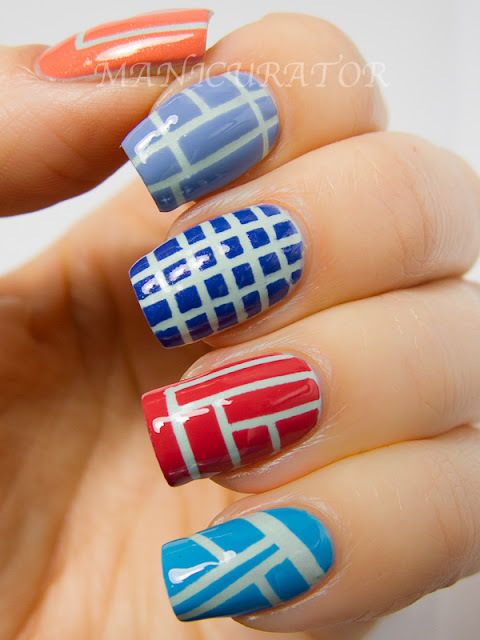 I really love this nail art! great job! Oh, what an awesome striping job you did ! Love this. Your pinky is my favorite! 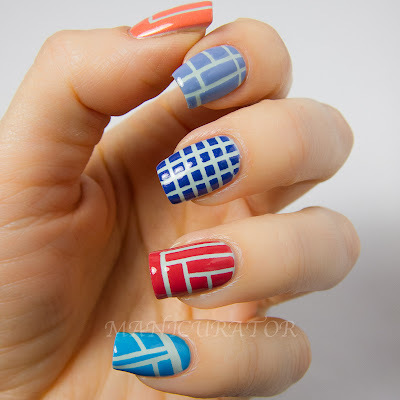 how did you make the pattern's so crisp? 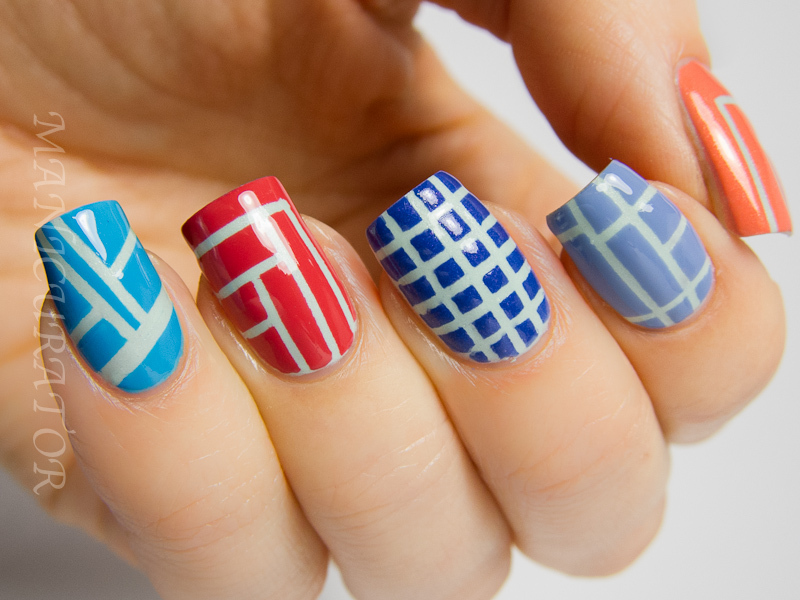 I have never done nail art but would be willing to dry solely to master this! 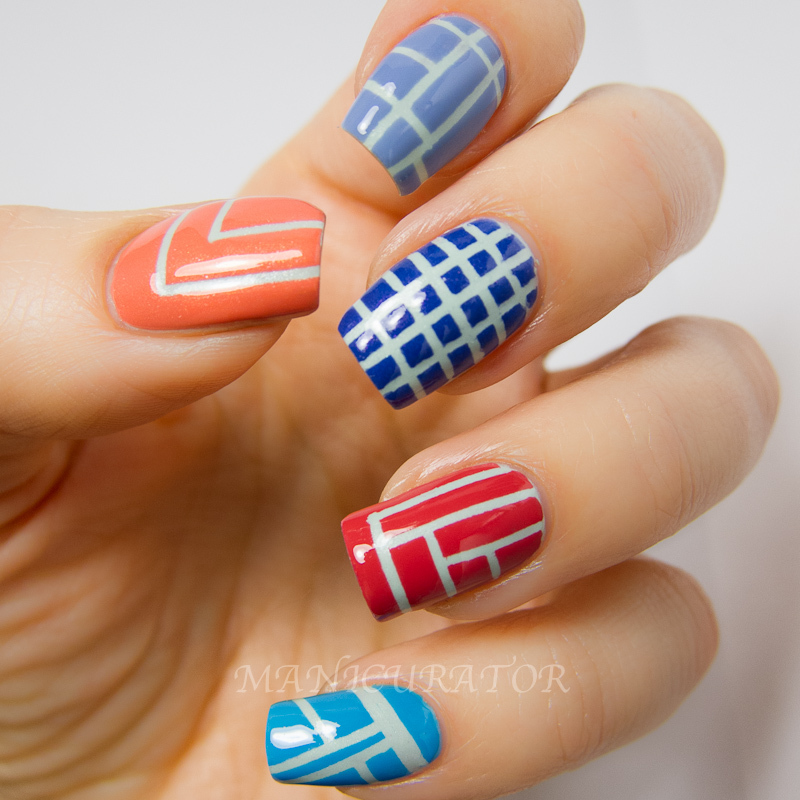 Totally loving this one, it really stands out and each nail is different but they tie together so well!